Quite near the civilisation but not easy to reach with bigger ships. Shallow water around the island may require careful navigating even with smaller ships. 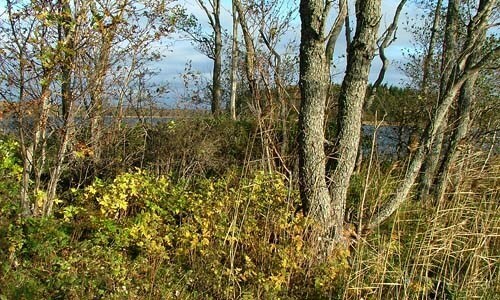 The island is perhaps even reachable during the winter. The cache belongs to the trilogy "Three Pilots" and is dedicated to the memory of Sancho Ruiz, pilot on board the Santa Maria that left from the port of Palos (near Huelva) in southern Spain, on August 3, 1492. The crew mostly came from surrounding towns such as Lepe and Moguer. The cache is, as the 2 others in the trilogy, a tube (15 x 3 cm). Haqre GERR FGBARF arne n gerr.